With one of the highest rates of motor vehicle ownership in the world, New Zealand has a longstanding passion for and reliance on road transport. Helping Kiwi drivers get from A to B for more than a century – whether that be from Auckland to Bluff or from the asphalt to the bush – Goodyear tyres have played a lead role in one of this country’s defining stories of the past century. The first two cars in New Zealand were imported into Wellington in 1898 – the same year that Frank Seiberling founded the Goodyear Tire and Rubber Company in Akron, Ohio. Just under 20 years later, in February 1917, the Goodyear Tyre and Rubber Company of New Zealand set up its head office on Manners Street in the heart of the country’s capital – then a nascent hub of the New Zealand auto industry. Car ownership was becoming more egalitarian, with Chevrolet and Ford dominating the country’s roads on tyres no wider than four inches. An innovator from the outset, Goodyear pioneered an All Weather Tread diamond pattern tyre that reached New Zealand shores in 1920. It was a ground-breaking product that helped establish a reputation for cutting-edge engineering that has since become the company’s hallmark. Today Goodyear remains at the forefront of tyre technology, enabling safer, more efficient and more comfortable driving experiences. Currently in New Zealand there are nearly 400 different Goodyear tyres available to suit pretty much every budget, application and performance criteria you could imagine. 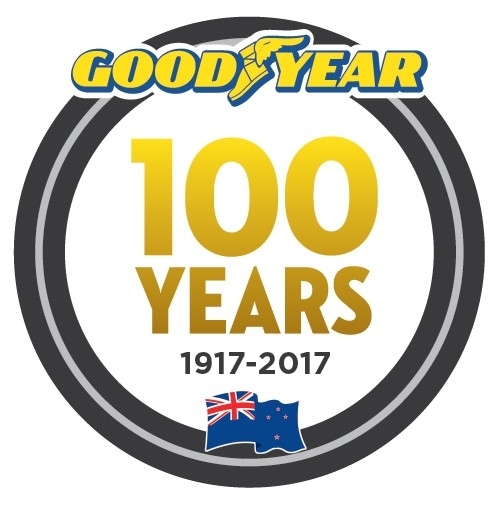 Over 100 years, as the product continued to evolve, so did the shape of the industry and the Goodyear business in New Zealand. 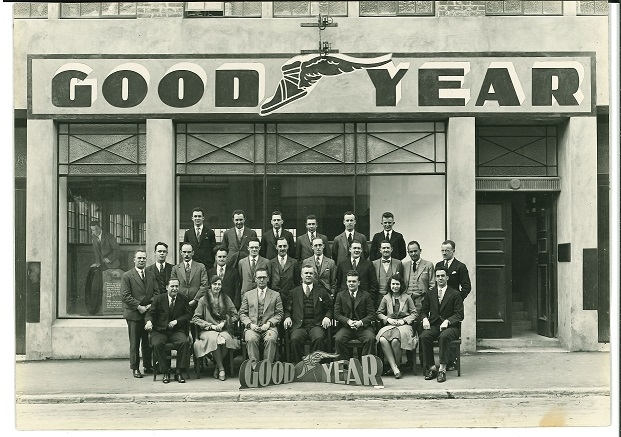 Goodyear’s international reputation helped strengthen brand confidence in New Zealand, and by 1929 branches were opening around the country to meet customer demand. During WW2, the company was forced to sell other manufacturer’s products due to tyres being classified as essential “war materials” allocated by the government. Tyre shortage in that period led to a growth in re-treading. As part of Government initiatives to establish industry in New Zealand post the War, a plant was opened in Upper Hutt in 1949 to manufacture Goodyear tyres. The idea of New Zealand-made tyres for New Zealanders was proudly championed and production increased over the next 30 years as the country enjoyed a manufacturing boom. In 1987, Goodyear NZ joined Dunlop NZ to form South Pacific Tyres NZ Ltd – an association that continues today under the name Goodyear & Dunlop Tyres (NZ).